Hey guys! I haven’t posted in a while but have followed along and used this for site lots on my quad. I need some help with my cylinder head. 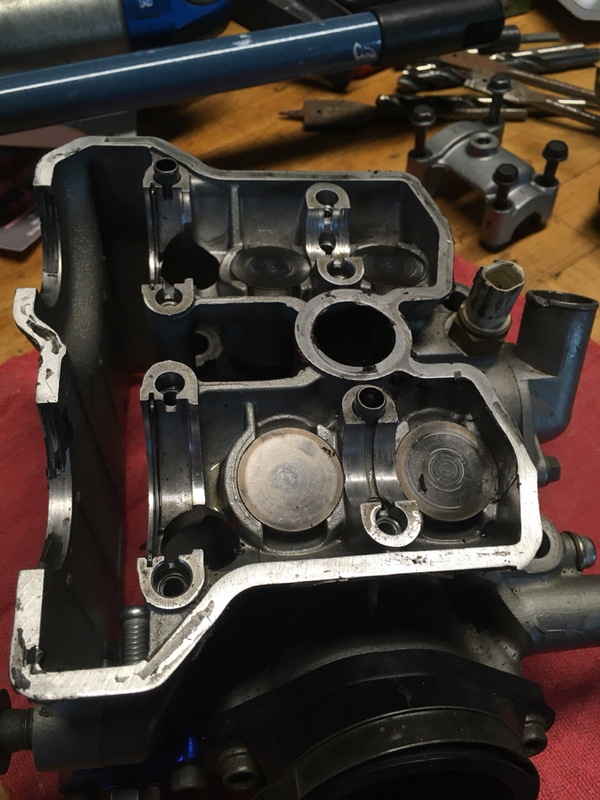 Long story short, I’ve ridden quads for years and have taken apart two smokers, but this is the first time I’ve had a 4 stroke apart. So I’m a newbie with some of this stuff. I have this head that has been off for about a year and I want to clean and sell it. First question is what am I able to clean it with? Can I use brake cleaner and air, or will the brake cleaner be bad for the valve seat? Second question is about the valves themselves. I don’t see anywhere that a feeler gauge could fit to check clearance. Are they really tight? I will upload some pictures of the valves. 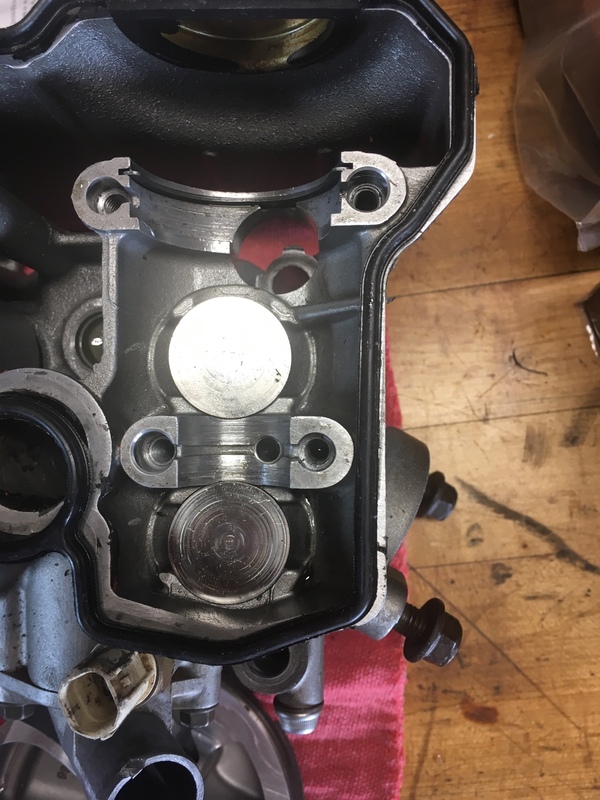 Is the build up on the exhaust valves normal or bad? Soap and water, brake clean or engine degreaser will work fine. Blow dry and lint free rages will work fine. The exhaust looks normal and can be scraped off with the end of a hacksaw blade. Valve clearance is checked in between the valve buckets and the cams after they are installed. Thanks shadey! I thought I was missing something with the whole clearance situation. I’ll get on cleaning it and see if anything else shows up. That one cam journal looks like it has issues. Appears to be mushroomed on the edges. Also what are you looking to get for the head? Last edited by quadracer706; 06-05-2018 at 05:24 PM.